I know that I feed my family well when it comes to dinners and treats so I feel that my pets should eat just as well. 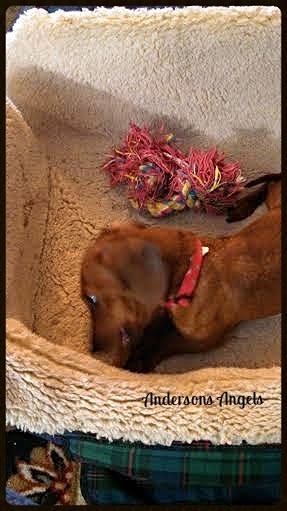 I have found it hard to find good quality dog treats in the stores. 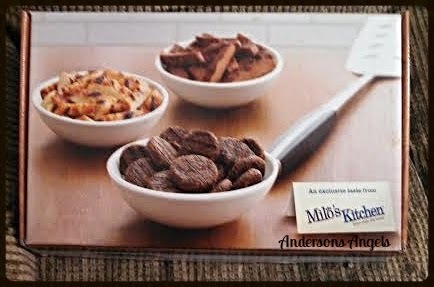 Many treats available are filled with additives and ingredients I would prefer not to give my dogs. I love to give my dogs quality treats that are made in the USA. 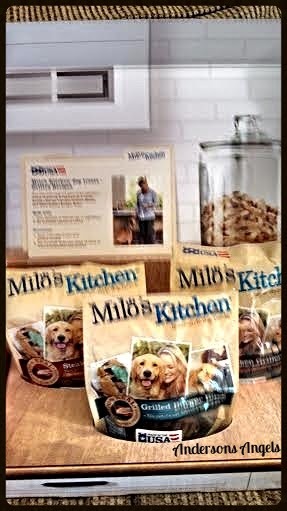 I recently was given the opportunity to work with Milo's Kitchen home-style dog treats. The first thing I noticed was a nicely designed package. Right on the front it has a large, Made in the USA sticker. Just to the left of that was a label showing that the product(s) inside are 100% real. There's also no artificial flavors or colors. The main ingredient, is real meat! That's a huge deal when it comes to dog treats! I also like that the containers have windows on them so you can see the product inside. You may notice that these treats look like human food. 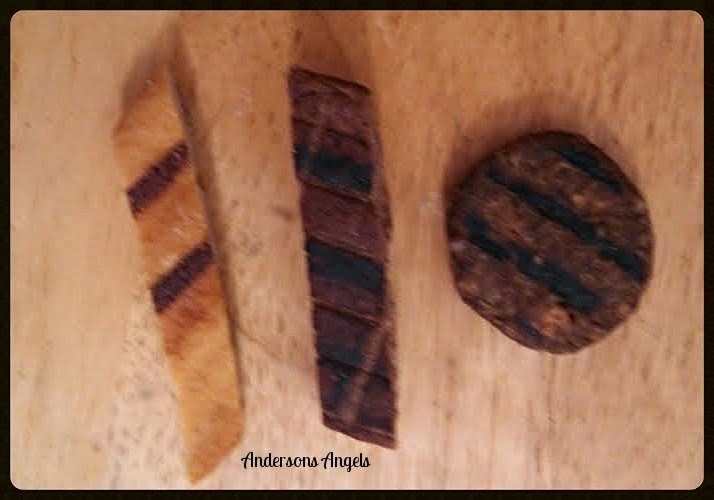 The burgers look like mini burgers, the steak looks like tiny strips of steak and the chicken, you guessed it, looks like grilled chicken. Ginger sure didn't notice they were specifically designed for her. She absolutely loved the treats. So if you want to let your dogs feel like they are getting human food as a special treat, look no further than Milo's Kitchen. These home style treats are sure to satisfy your dog and your budget. Plus the 100% Made in the USA just adds icing to the cake, so to speak. After all, "The best treats come from the kitchen!" How would you like to win some of these great treats for your own special dog? If so then simply fill out the form below and Good Luck!! I love that the teats are all natural, so I can feel good about giving our doggies treats! That one really looks like a hamburger, which is a favorite for Jack and Lucy. They would have a dit for these!! I learned they have chicken grillers, which my poodle would love. Their home-style dog treats are 100% real and made in the USA. I learned they are made with high quality ingredients and never any artificial flavors or colors. I learned that all the products are made here in USA. I learned that there are no artificial flavors or colors and they are made in the USA! I learned that they recommend that treats be used within 30 days of opening for maximum freshness. I learned that they use 100% real chicken or beef and it is made here in the USA! All major ingredients, including meats, proteins, grains and vegetables, come from the USA. I learned these have no artificial colors or flavors.